This course is based on the work of Karl Koenig, MD, and covers the developmental phases of early childhood with a focus on the first three years and the unfolding of the child's ability to walk, learn to speak, and the awakening of thinking based on the prior acquirement of speaking. Rudolf Steiner called them the spiritual gifts: walking, speaking, and thinking. These gifts make it possible for the human being to ultimately become what he or she is, a unique being endowed with cognition and the quest for one's own self. These gifts form the foundation for the development of the three highest human senses, the sense of speech, the sense of thought and the sense of ego. It is only when these senses are recognized to be the result of the development of walking, speaking and thinking that a true understanding of the awakening of the human being's spirit during the first three years of life can be gained. Dr. Karl König was born on the 25th of September 1902 in Vienna, Austria and died on the 27th of March 1966 in Überlingen at the Lake of Constance in Germany. Early in his life he developed a strong relationship to the values of Christianity and to questions regarding the issues of social life. Karl König studied zoology, biology and medicine in Vienna. During this time he struggled with questions regarding the evolution of life. It was the encounter with Goethe's work on natural science, Goethe's approach and methods, that gave him the direction for finding answers. He published the results of his first research about the effects of homeopathic substances during the time as an assistant at the Vienna Institute for Embryology. Soon Koenig got to know followers of Rudolf Steiner, and during the first encounter with Ita Wegman she asked him to work as an assistant at the "Klinisch-therapeutische Institut" in Arlesheim in Switzerland. The co-founder of the institute was Rudolf Steiner. It was also in Arlesheim where he started to give numerous lectures and courses, rich in content and covering a great variety of topics. As we can read in his 'Autobiographic Fragment' the roots of his deep inner connection and relationship to children with special needs are to be found here in Arlesheim. A lecturing journey to Silesia lead to the marriage with Tilla (Maasberg) and his deep connection with the social and religious impulses of the "Herrnhut" brotherhood where she originated. Because of his Jewish descent he had to give up his work as general practitioner and in the institute of Pilgramshain, which he had just founded with Albrecht Strohschein and which was one of the first curative educational centers based on Anthroposophy. Also the "School for Social Work", founded by Emil Bock and himself in Eisenach in 1932, could not be continued. In 1936 he fled via Prague back to Vienna where he restarted his medical practice. Already in 1938 he was as successful with his work as in Silesia. During this period he lead an anthroposophical study group with young people, many of them Jewish. Together with this group he soon had to flee again. They reached Scotland by different ways. The old "Camphill" estate, a former hiding place of the last knights of the "Order of the Temple" became the place of origin for a community based on curative education, which then developed during the postwar years as the "Camphill Movement" and over time spread to many countries all over the world. For Karl König the foundation of such a community was an attempt to realize suggestions Rudolf Steiner had made for for social life based on insights into spiritual reality. For Koenig it was an endeavor to take up anew the true and deeper tasks that had been hindered by the destruction of Central Europe. 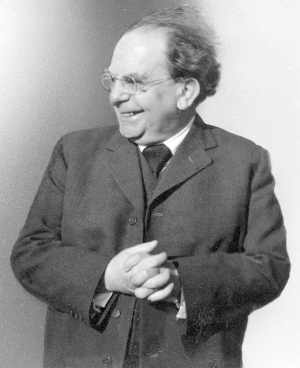 In 1966 Karl König died in Überlingen near to the communities he had founded at the Lake of Constance. Tireless work and effort to help children, adolescents and adults with special needs in practical, therapeutic and educational life, through publications, talks and seminars, had become more and more the central content of his life. In the year 1927, a number of biographical paths cross in a significant way. Karl König, who had graduated as a medical doctor in April that year, had wished to visit Arlesheim and meet Ita Wegman. But Ita Wegman was not encouraging as there were already other visiting doctors at the Clinic. Help came from an unexpected quarter. Rudolf Steiner’s sister, Leopoldine, died in Horn, north-west of Vienna, on 1 November 1927. 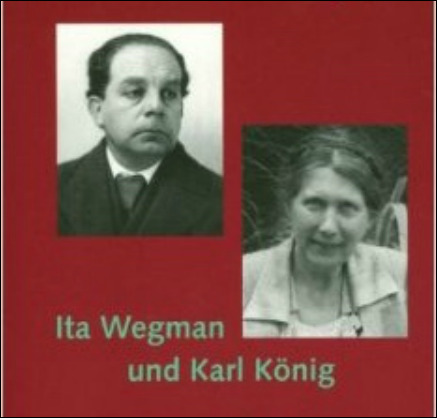 Ita Wegman traveled to the funeral, and Karl König was asked to be one of those who met her. That was why he stood on the platform of a railway station in Vienna and waited for the train. Rudolf Steiner (1861–1925) had two younger siblings, Leopoldine (1864– 1927) and Gustav (1866–1941). Gustav was born deaf and needed care throughout his life. Leopoldine became a seamstress, living with her parents until they died, then looking after her brother until she herself began to loose her sight. Leopoldine Steiner’s funeral was held on 3 November 1927. Ita Wegman traveled by train from Arlesheim to Vienna. She will have heard of the death shortly after Leopoldine Steiner died but it is unlikely that she would have traveled so far already the same day. Karl König writes that Ita Wegman arrived late in the evening in Vienna, which rules out her traveling on the day of the funeral. So it is most probable that Karl König met Ita Wegman for the first time on Wednesday 2 November 1927. That Ita Wegman really did attend Leopoldine Steiner’s funeral is confirmed by an anecdote illustrating her concern for Gustav Steiner that day: Doctor Ita Wegman attended Poldi’s [Leopoldine’s] funeral in the rôle of member of the Vorstand at the Goetheanum. Mrs Wegman wished that Mrs Karner would ‘straight afterwards do something joyful with the bereaved Gustav.’ Mrs Karner took him to visit places of his childhood: Pottschach and Neudörfl (in Burgenland) which pleased Gustav greatly. (Wolfgang Vögele: Von Wien nach Zürich p. 15). A few days after their first meeting Ita Wegman and Karl König had a conversation: I felt quite at ease when I sat opposite her and she asked me a few questions about my life and work, and then suggested that I join her Clinic in Arlesheim. (HM-W p. 65) Karl König was astonished that she suggested he come to Arlesheim a few weeks later. Despite his protests—he wished to finish his clinical year in Vienna—they agreed to her suggestion. Destiny spoke very strongly, because Karl König arrived in Arlesheim on the same day as Mathilde (‘Tilla’) Elisabeth Maasberg. They stayed at the same house, became friends and married one and a half years later, on 5 May 1929. In February 1943 a conference was held in Camphill to mark the moon node from when Rudolf Steiner had held the ‘Curative course’, Tilla König told how Pilgramshain was created and of her meeting with Karl König. Here from the notes of her lecture: In November I went to Arlesheim (19.11.1927). I had to look for a little room because we had no money. In the same house and on the same day Dr. K. came from Vienna. Peter Selg, in his excellent book Ita Wegman and Karl König, Letters and Documents bases his dating of Karl König’s arrival in Arlesheim on what König himself wrote, which was November 7, 1927: Whether Karl König was mistaken about the date of his start at the Arlesheim clinic when writing later is not known. As Karl König’s diary from the year 1927 no longer exists, we have to rely on other sources and live with the unclarity. But the available evidence does suggest a later date than 7 November for Karl König’s arrival in Arlesheim. Circumstances seem to indicate that Tilla had noted the correct date. Assuming that König met Ita Wegman on that 3rd November, then the 19th would have been ‘a few weeks later,’ which is the expression he used himself. And just on this same day as Karl König and Tilla Maasberg most probably met, Saturday 19 November 1927, the Act of Consecration of Man for one who has died was held in Vienna for Leopoldine Steiner. The day after, Sunday 20 November 1927 was the first ordinary celebration of the Act of Consecration of Man and a week later, on Sunday 27 November 1927, the Christian Community congregation was inaugurated in Vienna with the first official celebration of the Act of Consecration of Man. Eight days after Tilla Maasberg, and most probably Karl König, arrived in Arlesheim, was the first Advent Sunday, 27 November 1927, and the Advent Garden was held in the Sonnenhof in Arlesheim. Karl König experienced the Advent Garden for the first time, and thereby found his life’s task. This well-known description is to be found in the biography by Hans Müller-Wiedemann (p.68): It was a profoundly moving sight for me to see how each individual child endeavoured to carry out this task with joy and earnestness. There stood the large candle! The small candles fixed to the apples, symbols of the Fall, were to be lit at this light of Christmas tidings! And suddenly I knew: ‘Yes, this is my future task!’ So to awaken the spiritual light inherent in each one of these children that it will lead them to their true humanity—that is what I want to do!’ Leopoldine Steiner had lived a quiet life as a seamstress. In a special way she was the good spirit whose death gave the opportunity for Karl König and Ita Wegman to meet, so being instrumental in the process that led to the founding of Camphill. But it is also important to note that the first of the three inaugural celebrations of the Act of Consecration of Man was celebrated for her when The Christian Community started its work in Vienna and thereby she was also, in an inner way, involved in this event. Hans Müller-Wiedemann: Karl König—A Central-European Biography of the Twentieth Century. Translated by Simon Blaxford-de Lange, Camphill Books 1996. Peter Selg, Ita Wegman and Karl König. Letters and Documents. Floris Books 2008. Das Werden einer Christengemeinschaft. Zum 70-jährigen Bestehen der Christengemeinschaft in Österreich. Wien 1997. What we know about child development is rooted in developmental theories. 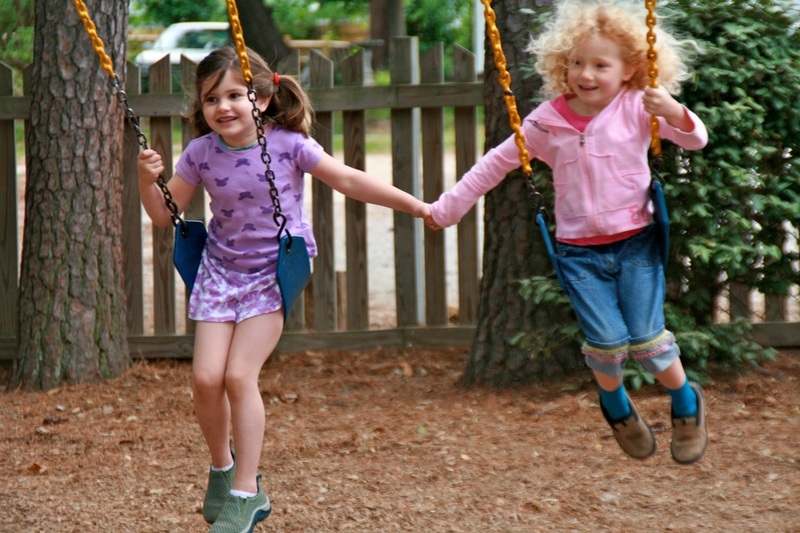 Over the years, psychologists and other scientists have developed a variety of theories to explain observations and discoveries about child development. Below please find an attempt at summarizing some of them below. Piaget believed that early cognitive development occurs through a process where actions prompt thought processes, which influence the actions the next time around. He talked about Schemas which describe both the mental and physical actions involved in interpreting and understanding the world. New information acquired through an experience is used to modify, add to, or change previously existing schemas. He believed cognitive development follows a fixed process of four stages that are the same for all children, though they may arrive at each stage sooner or later than their peers. His first stage is Sensori-Motor (0 – 2 years); in this stage, the child is learning about the world around him through his senses. This is the stage, Piaget said, where infants learn about object permanence, that a person or object still exists, even if the infant cannot see it. The second stage is the Preoperational Stage (2 – 7 years); in this stage, the child sees his world as if it revolved around, and for, him. Piaget’s third stage is the Concrete Operational Stage (7 – 11 years); though not yet able to think in the abstract, children in this stage are starting to mentally solve problems, develop concepts such as numbers, and are getting better at understanding and following rules. Piaget’s final stage is the Formal Operations Stage (11 years and up); in this stage, the child is able to think, not just in terms of the concrete, but also in the abstract. He is now able to hypothesize and see his world as it could be, not just as it is. Piaget tells us that children learn differently than adults because they do not yet have the experiences and interactions needed to interpret information. Especially as infants, children are constantly gathering information though their senses. They learn about their world by watching, grasping, mouthing and listening. They learn to avoid danger for example, not by reading a caution sign, but by experiencing ‘hot’ or falling from a the chair they just climbed up on. 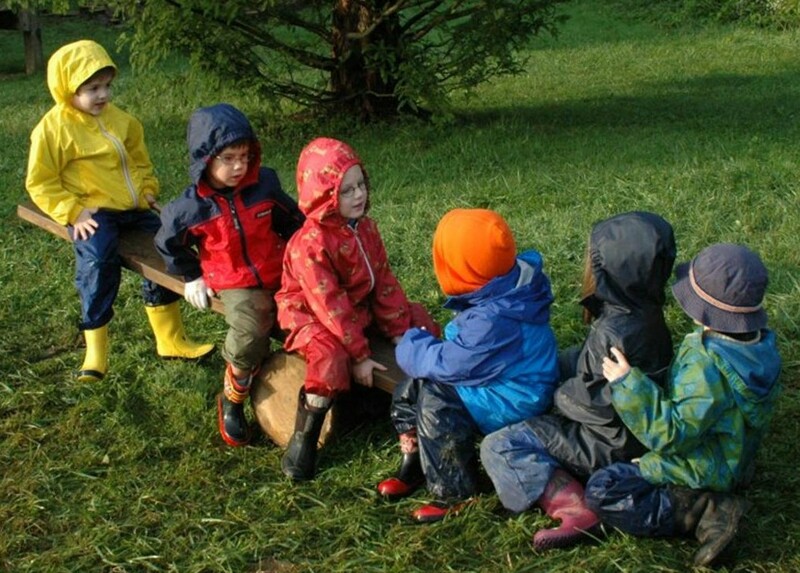 But, it is not just activities and sensory experiences that help children to develop; they also learn through interactions with adults and their peers. 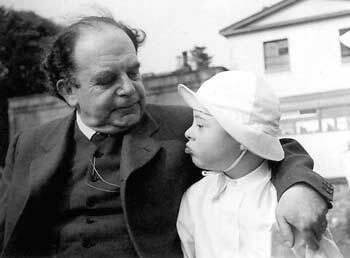 Urie Bronfenbrenner developed the Ecological Systems theory to explain how a child’s environment influences a child’s development. In his model, there is a hierarchy of influence levels. He puts the child, who comes with his own temperament and conditions, in the middle, or Micro System. The nuclear family, or Meso System, has the greatest influence on a child’s emotional development since, hopefully, his first attachment is to his mother or other primary caregiver. The community a child lives in and the school(s) he attends, the Exo System, also have a substantial amount of influence on his social emotional development; in particular, the early childhood program he attends, and the relationships he establishes with his teacher or provider. Bronfenbrenner’s Macros System, or society, which includes culture, government and public policies, comes next. The final system, the Chrono System includes transitions such as moving, changing schools, divorce and other life changes that can effect a child’s social emotional development. By studying thousands of children over many years, Gesell came up with “milestones of development” – stages by which normal children typically accomplish different tasks. These are still used today. Gesell’s most notable achievement was his contribution to the “normative” approach to studying children. In this approach, psychologists observed large numbers of children of various ages and determined the typical age, or “norms,” for which most children achieved various developmental milestones. Skinner coined the term operant conditioning and believed children’s behavior and learning can be shaped by providing rewards and punishment. Bandura believed that children can learn new information and behaviors by watching, or observing, other people. This was referred to as the social learning theory. 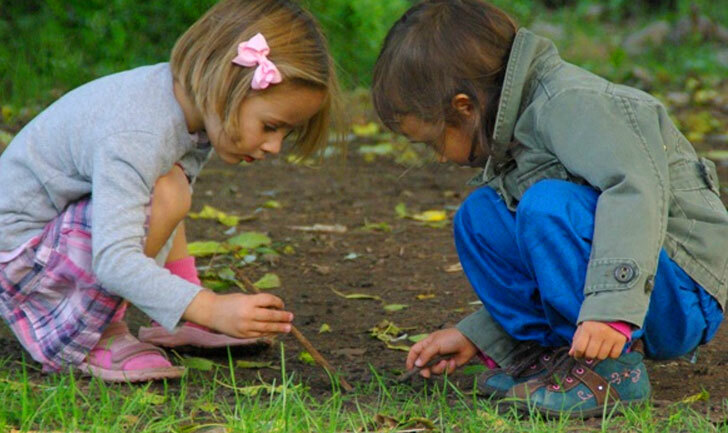 Vygotsky believed in the sociocultural theory – that children learn actively and through hands-on experiences, and that parents and caregivers and peers have a role in a child’s development. Children, he said, learn best when new information is scaffolded for them. He called the area of cognitive development, from where a child starts out to where he could get to with scaffolding, the Zone of Proximal Development. John Bowbly is thought to be the first to introduce the attachment theory. He believed that early relationships with caregivers play a major role in child development, and continue to influence social relationships throughout life. If an infant’s parent or caregiver is consistently dependable, the child will develop an attachment, or bond, with his or her parent or caregiver, and will feel secure enough to explore the world around him. Please reflect deeply on the content presented in this course on The First Three Years of the Child. Walking, Speaking, Thinking. Select an area of interest relating to the subject matter, conduct research and create a final paper/research project. Please see below for details concerning the final paper/research project.